Building or renovating a dental office is a major milestone in the life of your practice. This process often involves a significant investment, both financially and emotionally. 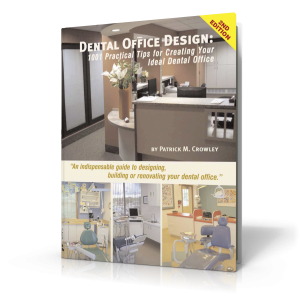 Maximize the benefits and protect your investment by utilizing the invaluable advice in Dental Office Design: 1001 Practical Tips for Creating Your Ideal Dental Office. We have compiled over one thousand points of advice for renovating your dental office, that are conveniently seperated into easy to use chapters for each part of your dental office. 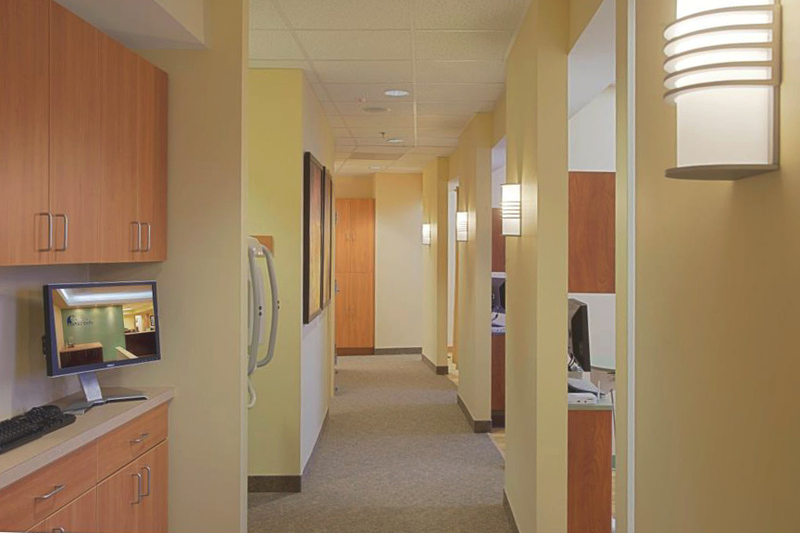 We wrote the book on dental office design…literally! It’s filled with hundreds of ideas born from experience that will save you money! If your office design is already underway, we can put it through our review process and help you maximize the effectiveness of every detail. Sign up to receive our E-newsletter, and you will receive regular updates with dental office design and construction tips. You have saved me thousands of dollars - many thanks!!!! I was lost in the design process. I decided to do Patrick Crowley’s 2nd opinion review service. Part of that service required me to complete on office design survey which detailed what our our office needs were. Just upon reviewing the design survey I realized how in the world is it possible to design an office for someone and not ask all these questions prior to the design process. Mr. Crowley has done more in 2 weeks than my last design team accomplished in the previous 8 months. I feel good again about the design process. I just purchased the book, LOVE IT!! I got your book and used it to open our second office, way under budget!